The literary cafes are places not to be missed in Paris where there is a charming and nostalgic atmosphere. Whether for a coffee or an aperitif, there are several cafes where it is good to stop. What are the different literary cafes in the city ? Here are some addresses of literary cafes to remember. The Closerie des Lilas is a café located in Port Royal and frequented during the 19th century by intellectuals such as Ernest Hemingway, Emile Zola or Pablo Picasso. The inscription on his sign is in pink lily and the lush exterior. Inside you will find mosaic boards and woodwork. La Palette is located in the Saint-Germain des Prés district and is decorated with paintings and ceramics. This coffee bar was attended by Julia Roberts as well as Hemingway and Picasso. In the same area, you will find the café des deux magots, frequented at the time by surrealist artists such as Sartre, Simone de Beauvoir, Albert Camus and James Joyce. Inside, two statues representing mandarins look at the room. The benches are in red moleskin and waiters are dressed in black and white. 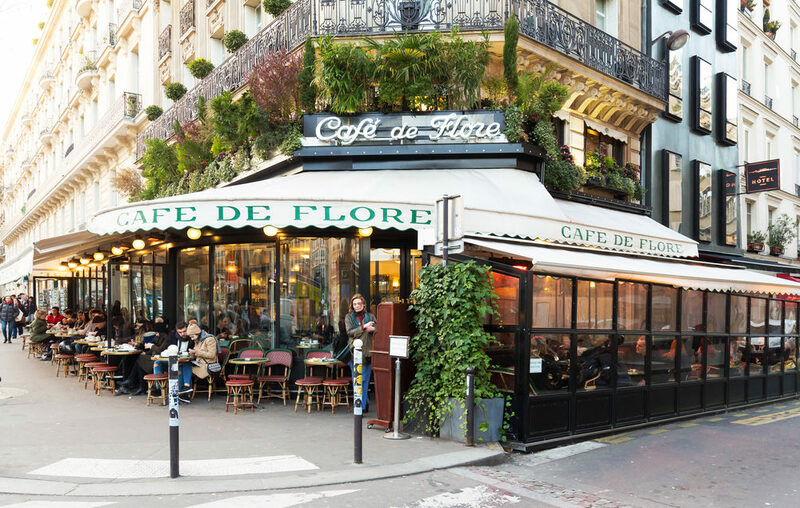 The Café de Flore is the famous place of famous writers and philosophers such as Robert Desnos or Raymond Queneau. The interior is rather of Art Deco style. The Procope café is the oldest restaurant since it was founded in 1686. It was visited by many intellectuals such as Voltaire, Balzac or Verlaine. We can cite the Coupole which is a Parisian brasserie located in Montparnasse with a plaster sculpture in it. It was frequented by Edith Piaf and Picasso. In the same district, you will find the Brasserie le Dôme frequented since 1900 by many intellectuals, poets, sculptors and models.